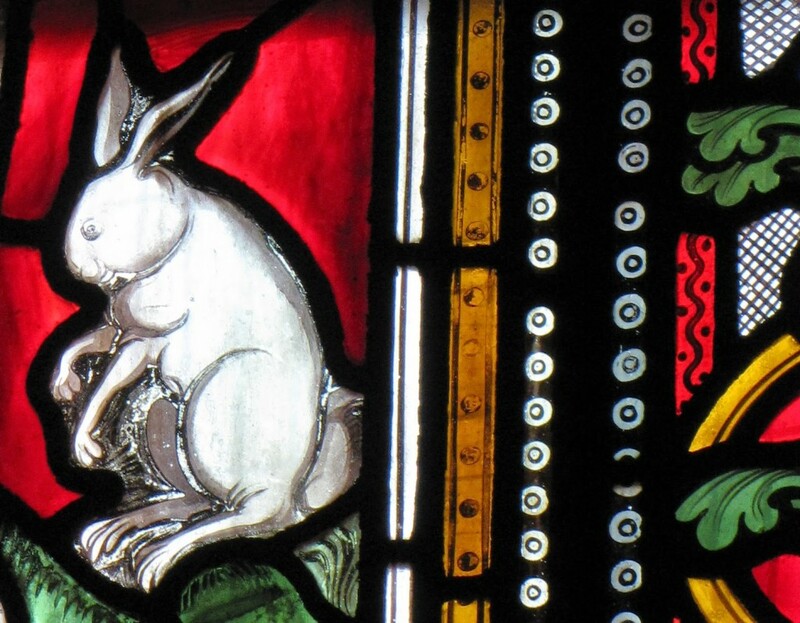 Stained glass window (detail), Christ Church Cathedral. Photo by Renée DeVoe Mertz, May 30, 2013. 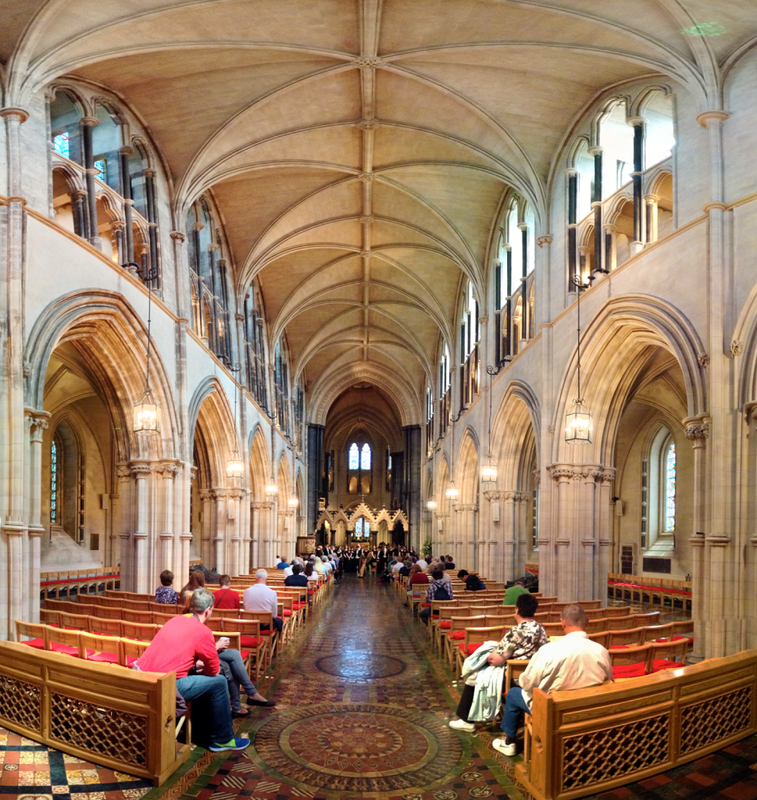 In addition to being one of Ireland’s largest and most embellished houses of worship, Christ Church also has the distinction of being the country’s oldest cathedral. It was originally established by Dunan, the city’s first bishop, and Sitric, the Hiberno-Norse king of Dublin (r. ca. 995–1036). In 1186, the Anglo-Norman archbishop, John Cumin, rebuilt the church. This building stood for several centuries, and was eventually co-opted for more secular uses. The nave, for instance, once held a market, while taverns resided in the 12th century crypt. By the Victorian era, the building had fallen into disrepair. Its current appearance, therefore, owes much to the architect George Street, who was in charge of its remodeling in the 1870s. One of the structure’s most unusual features, a bridge that stretches across the road to Synod Hall, was added at that time. 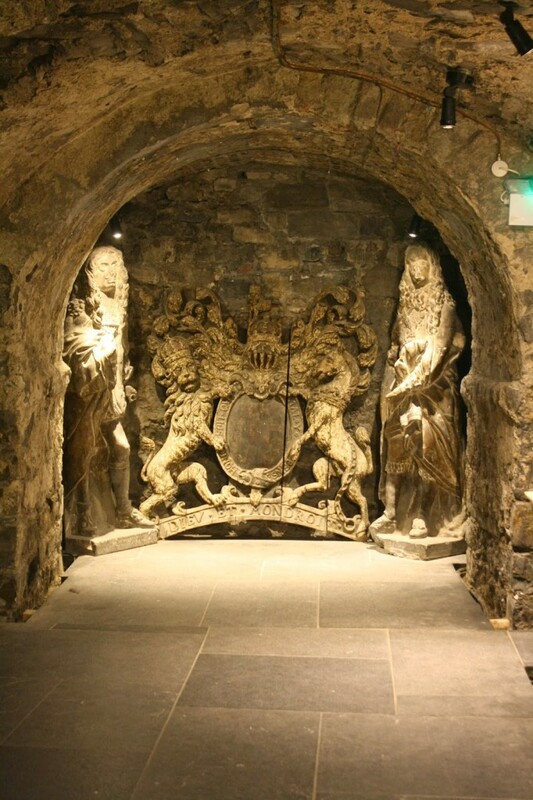 The crypt was restored later, in 2000. Today, Christ Church is the cathedral for the Church of Ireland diocese of Dublin and Glendalough, but it retains features from its varied history. A market is held (outside) on the grounds in summer, and visitors can still find refreshments in the crypt. The church’s striking buttressed exterior has become a symbol for the city, but the interior’s sculptural decoration is arguably even more impressive. Encompassing both organic and geometric designs, the cathedral’s details are unusually complex, with delicate, layered tendrils of rock curling around empty space and finely wrought heads poking out between stony flora. The milky white marble and fluid, smoothly textured carvings lend the walls around the nave a particularly lickable quality, as if the whole structure were fabricated of firm vanilla ice cream. Downstairs in the crypt, the stonework tends to be rougher, the lighting darker. This subterranean area includes tomb monuments, a cafe, and a mummified cat and rat, as well as temporary exhibitions. Floral capitals in Great Nave, Christ Church Cathedral. Photo by Renée DeVoe Mertz, May 30, 2013. 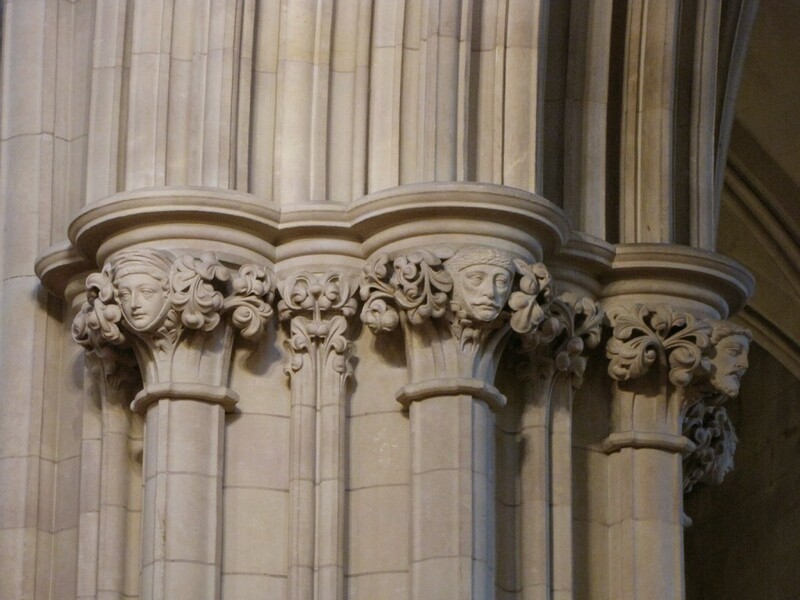 Capitals in the Great Nave. Photo by Renée DeVoe Mertz, May 30, 2013. Great Nave during choral performance. Composite photo by Joshua Albers, May 30, 2013. Crypt tomb monument. Photo by Renée DeVoe Mertz, May 30, 2013. Crypt tomb monument. Photo by Joshua Albers, May 30, 2013.